Byte-addressable non-volatile memory (NVM) offers fast, fine-grained random access to persistent storage, which revolutionizes the architecture design of file systems. Existing NVM-based file systems seldom optimize the directory-access performance despite that directory operations significantly impact application performance. These file systems still follow the traditional design of multi-level directory namespace which is inadequate for byte-addressable NVM and involves redundant access overhead. 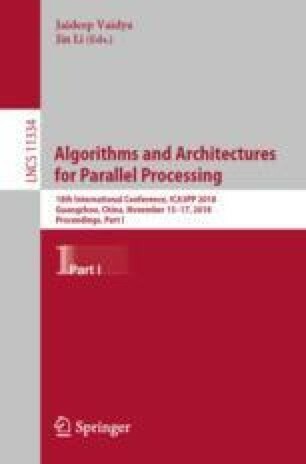 In this paper, we propose an adaptive directory accelerating mechanism (ADAM) for NVM-based file systems. ADAM analyzes different directory states including read/write frequency and size and then builds adaptive full-name directory namespace (AFDN) areas as well as an evolving strategy. Compared with multi-level directory namespace, AFDN areas offer fast read access and low write latency. Besides, the evolving strategy helps AFDN areas maintain a stable performance during system runtime. We implement ADAM on NOn-Volatile memory Accelerated (NOVA) log-structured file system and build an efficient hybrid index for DRAM/NVMM architecture. Experiments show that NOVA with ADAM achieves up to 43% latency reduction and 76% throughput improvement, compared with original NOVA. Moreover, ADAM generally outperforms other state-of-the-art NVM-based file systems in various tests. We thank anonymous reviewers for their insightful and helpful comments, which improve the paper. This work is supported by the National Key Research and Development Program of China (No. 2018YFB10033002) and the National Natural Science Foundation of China (No. 61472241).